(DSSSB) is soon to release the DSSSB Recruitment Notification 2018. As per the notification, candidates have to appear for written exam for PGT, TGT and PRT Teaching jobs. For the Written exam, DSSSB Recruitment Notifications has a prescribed syllabus, knowledge of DSSSB Syllabus and DSSSB Exam Pattern for PRT, PGT, TGT is essential to crack the exam. So, we are sharing the detail syllabus of DSSSB PGT TGT PRT Exam 2018. DSSSB (Delhi Subordinate Service Selection Board) entrance exam is one of the best opportunities for the candidates who are preparing for the government job. It is essential to know the syllabus which is specially designed for the various posts like TGT, PGT, PRT and Special educators under the DSSSB exam. The syllabus for the Tier-I is not so vast as compared to the Tier-II syllabus. Let’s do further reading to know the detailed syllabus of DSSSB entrance exam. Like many other candidates who have applied for DSSSB Recruitment Notification may be worried about the results that you attain after taking the test. You may feel that with all the hard work you are doing there must be something more that could be doing good to get the better score in DSSSB tier 1 or tier 2 examinations. Preparing a perfect schedule according to the DSSSB exam syllabus that is given in official notification will definitely give a productive output. The entire syllabus is given by the board in PDF file; you can download it in the fraction of seconds through the link that is given in this post. 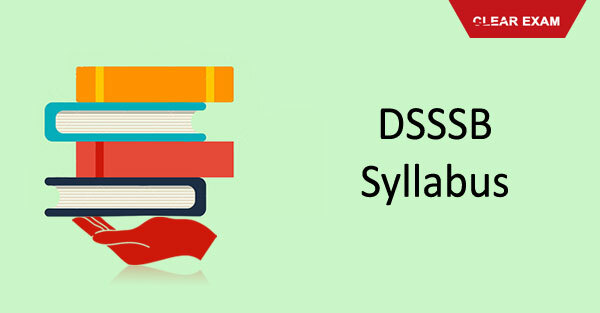 DSSSB exam syllabus is the list of topics that are specially specified by the selection board, it covers all the topics that have to be studied by job seekers. In order to pass both the tiers, aspirants need to study DSSSB syllabus, make sure that you prepare each and every topic given in the PDF to answer any given question. The question paper will be divided into six sections, the syllabus for both teaching and nonteaching post is almost same. Download syllabus file to view subtopics under each category. The Syllabus and exam pattern is different for different teaching posts. The DSSSB PRT Syllabus is different from DSSSB TGT Syllabus and DSSSB PGT Syllabus. In some of the DSSSB teacher's post, there is two-tier written exam while for some other there is only one tier written exam. Candidates shall read the detailed DSSSB syllabus to strategies their preparation to get succeed in the DSSSB exam. Current Events -National & International. The question will be asked from teaching methodology and concerned subjects.